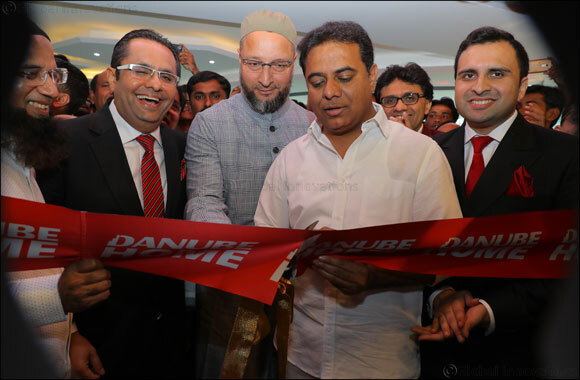 On the occasion Adel Sajan, Director Danube Home said “The entry in India is a significant step in our global expansion plan and we are very excited to open our first showroom in Hyderabad which is one of the fastest growing cities in the country. More than 32.5 percent of India's 1.35 billion people currently live in urban environment. With 7 percent growth in gross domestic product (GDP), India is expected to see a faster expansion of urban population that will trigger the growth in demand for home furnishing products and solutions. We are targeting the country's growing millennial population, middle class, dual income group, and upwardly mobile professionals which comprises a huge market for us. Shubhojit Mahalanobis, General Manager Danube Home, said “The brand's entry into the Indian market will not only create direct employment, but will support local industries by sourcing products from across India. This will also help us boost the Make in India initiative with home d�cor and home furnishing products and export them to other markets – such as the Middle East – where we have a strong presence. We have a robust expansion plan in hand, and we are hoping to have a great response from the first store launch in Hyderabad. We have a lot of surprises for our customers and shall ensure our global commitment of exemplary service standards with fantastic prices is carried forward in the Indian sub-continent”.